Q. Hoopla says my library card is expired or invalid. If you are not able to login to hoopla or your Sno-Isle library account, please see "I can't get into my account..." for more information. 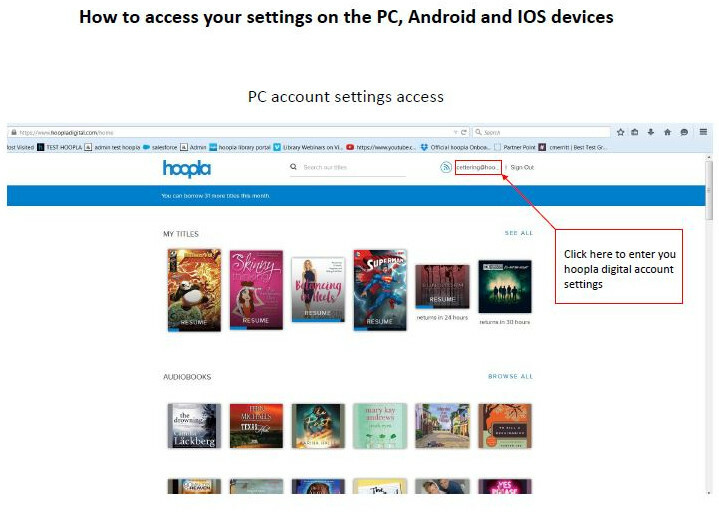 If you are able to login to your library account but hoopla says that your library card is expired or invalid, you need to update your PIN in hoopla settings. This PIN will be the same last four digits of Phone Number or Password that you use for your Sno-Isle Libraries Account.